THIS SATURDAY – MAY 7TH! Come join us for our monthly SUPER BINGO! 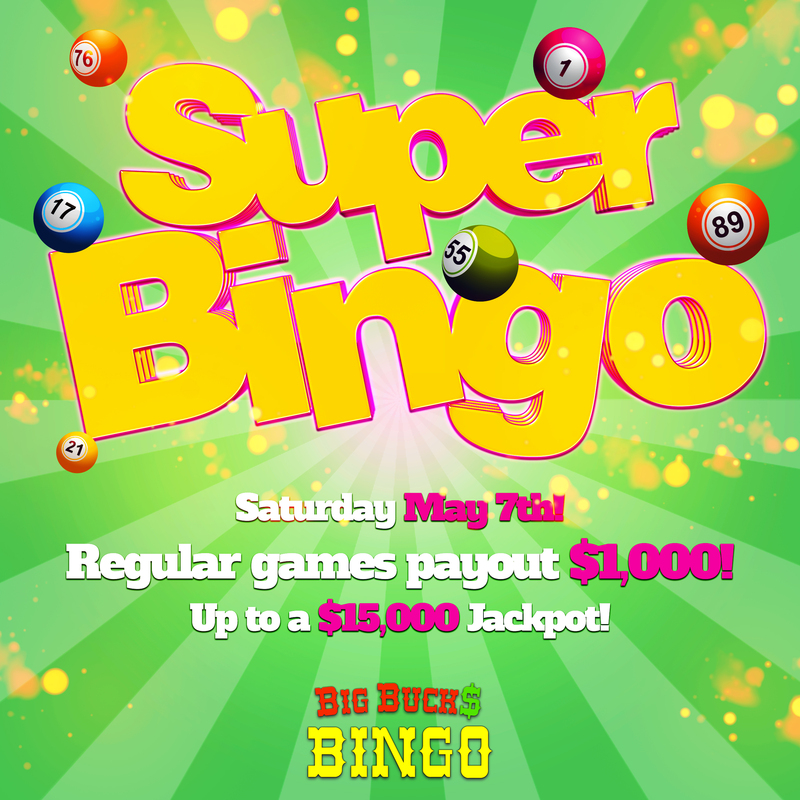 $1,000 Bingo on regular games, with up to at $15,000 JACKPOT! WOW! No place in the quad-state has such HUGE PAYDAYS – COME PLAY WITH US! Mother’s Day – Sunday May 8th! UPDATED WITH JACKPOT AND REGULAR GAME PAYOUT MAXIMUM INCREASE! 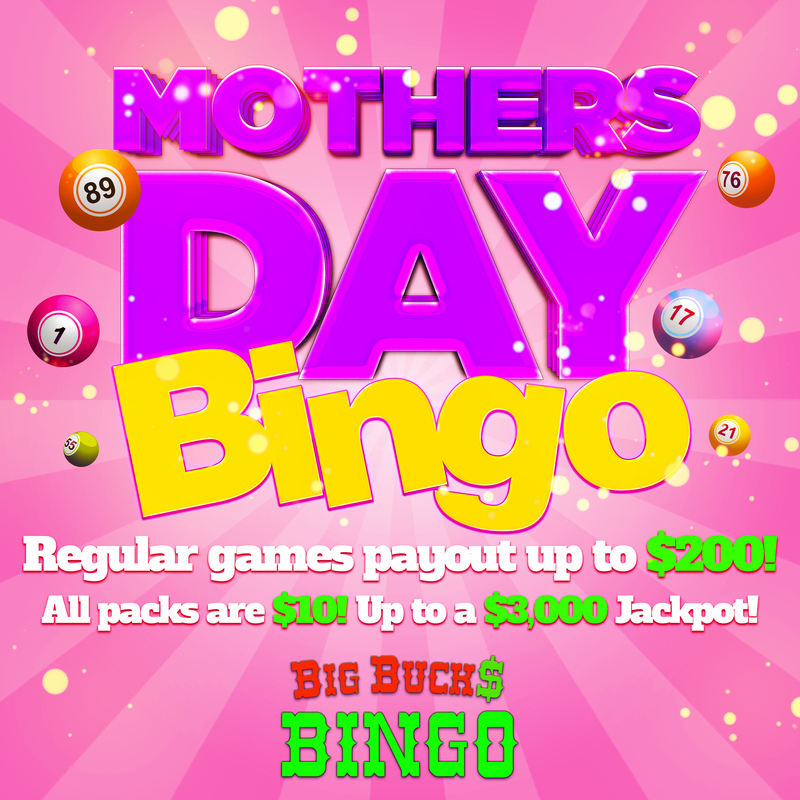 Come in for our MOTHERS DAY BINGO! Regular games pay out up to $150 – game packs cost JUST $10! WOW! Treat the special women in your life with a fun filled Sunday of BINGO! April 2016: Our Brand New Website is LIVE!